These rooms are responsible for so many varied activities that the lighting plan should be flexible. Think of all the activities that you will do in the room and then add various levels of light. 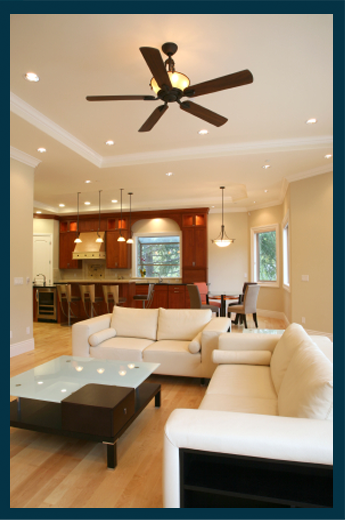 If there is a game table or pool table, supply over head light on a separate dimmer switch. Be sure that bar areas, bookcases, DVD/video collections or architectural features like fireplaces are not overlooked. Track or recessed lights, ceiling fans, wall sconces and floor and table lamps can all be utilized in this multi-purpose room.